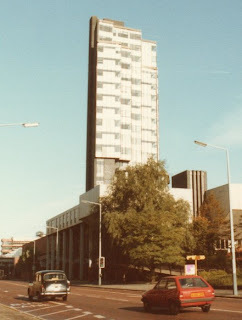 One of the university buildings that most fascinates me is the Maths Tower, a striking late 1960s block that was located on Oxford Road. 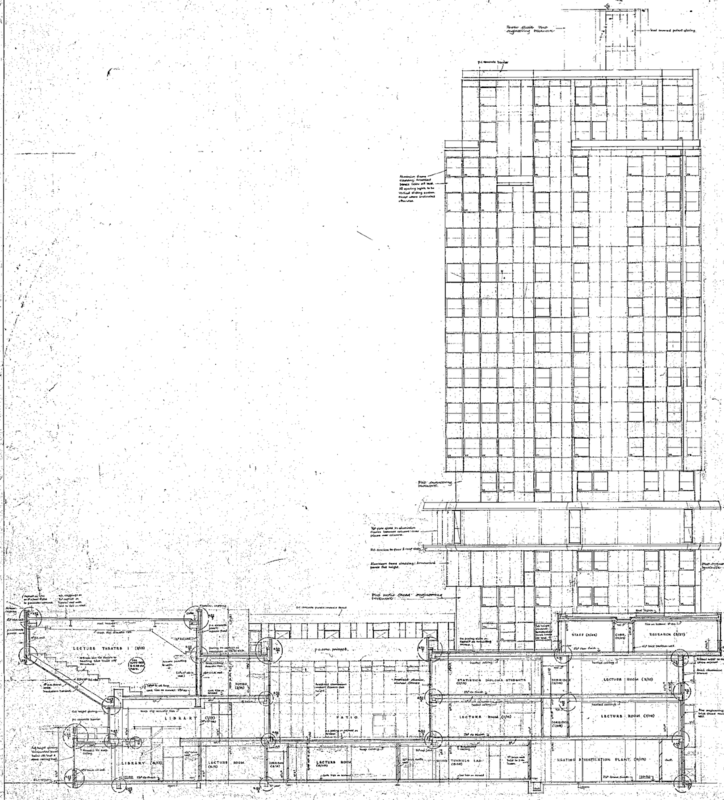 The photo above shows an original design model of it by the architects and below is a sectional plan. 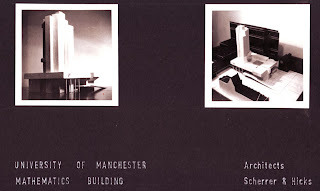 The Maths Tower was demolished in 2005, just when I joined the University Of Manchester so sadly I never got to go inside. The replacement building - University Place - is an uninspiring piece of architecture I think and very bland interior wise. 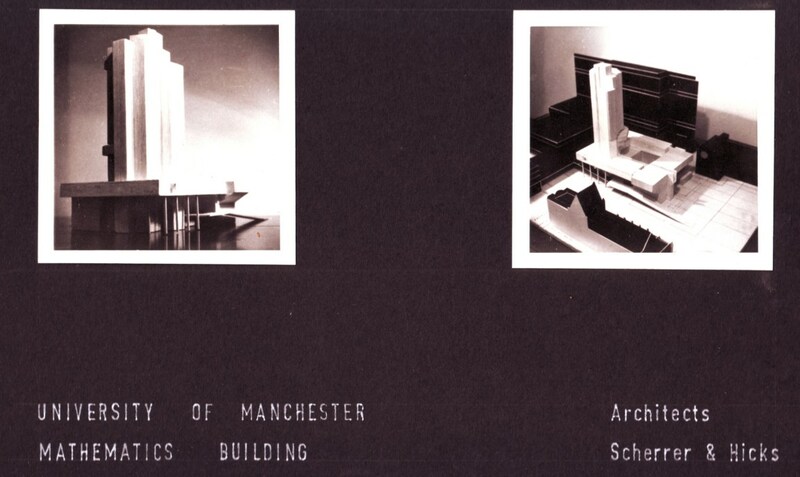 More information and lots of good photographs are available on Nick Higham's website about the Maths Tower. 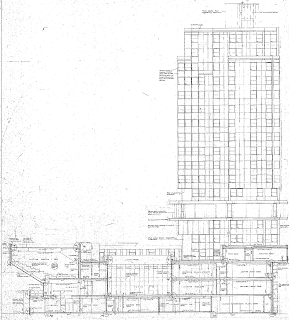 A scan of an original architects drawing for the Maths Tower.